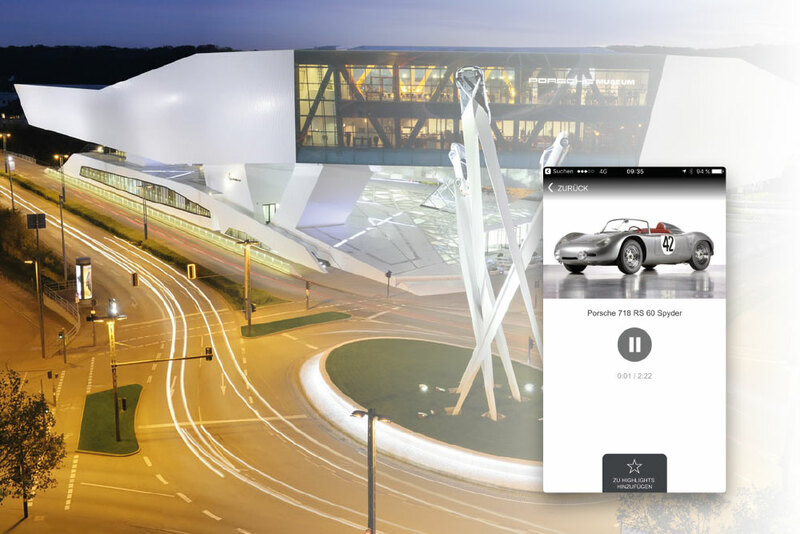 With the Porsche Museum App, visitors not only get a full fledged audio guide but also an exciting social media feature. An automatically generated „Porsche Card“ reminds of the visit and is shared via Social Media. Another special feature: visitors link up to audio tracks of videos played on screens at the museum. Video-interviews can be listened to in the native language of the visitor.